Visit our blog for the latest updates of Reverse Image Search What Can You Do To Improve Image Search Results For SEO? 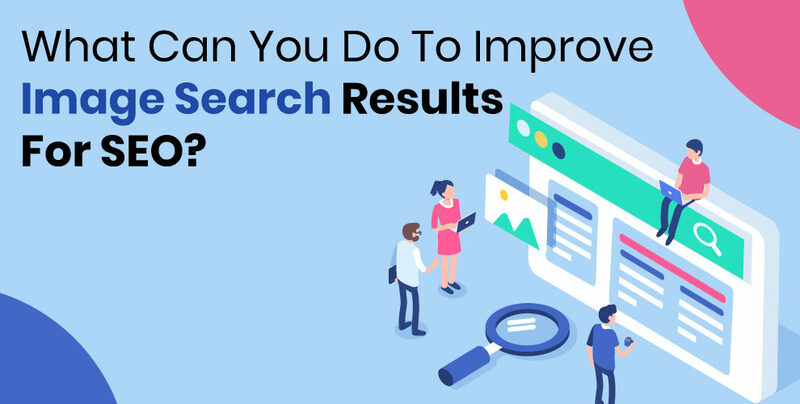 Home Reverse Image SearchWhat Can You Do To Improve Image Search Results For SEO? As voice search is making progress throughout the world, people have started optimizing their sites for vocally made queries but there is a much easier method of searching for something, and that is image search. Where no keywords are required and almost no chance of getting an irrelevant result. According to a recent report, the image search in Google receives nearly thirty percent of the world’s queries. Reverse image search uses a technique in which you provide CBIR (Content-based image retrieval) system with a sample image. This method totally neglects the needs of keywords for a user that may or may not give the relevant results. Some people aren’t aware that these images they upload on their websites can draw a lot of traffic. The only thing you need to do is change their raw filename to something that explains the content in the image or is relevant. If Google won’t get any extra data, which a search engine can use to better understand the picture then how is it going to display it in the SERP when a relevant query is made? There are a few things you need to keep in mind before uploading a snap to your business profile or website. First of all, it needs to be high in quality; second, it should provide proper information about the product because it’s vital to their decision making. The size of the file shouldn’t be large because it severely affects the loading speed of the page. Now, more than twenty percent of people leave sites which take time to load even a second delay makes a difference. Compressing the file doesn’t affect the quality of the image a lot, but it doesn’t mean, you reduce the size too much that you sacrifice the quality of the image over increasing the load time of the page. There are numerous tools available on the internet to complete this job for you. You need to know, how an image will appear in the search results. Of course, the SERP doesn’t display the whole picture in its results; you need to crop it so that it can fit in the standard image ratios like 16:9 and 4:3 to meet the dimensions. How An Image Affects SEO? A picture can affect SEO in a lot of ways. It all begins with the file name which should provide a basic description of the image. After that comes the following factors for ranking in Google images. The Captions: The caption is a short description, or you can say title that is presented with the image. The Descriptions: Description is an important field because they describe material or content included in the picture briefly plus can consist of some external links as well. These details are shown when the images are opened in a separate window. If you agree to these methods, then no one can stop you from engaging and reaching your potential audience or consumers. This is one of many reasons why good businesses fail in optimizing images aside from articles and web pages. So, all you need to do is spend a little more time in search engine optimization, and your business will get back on track in no time.